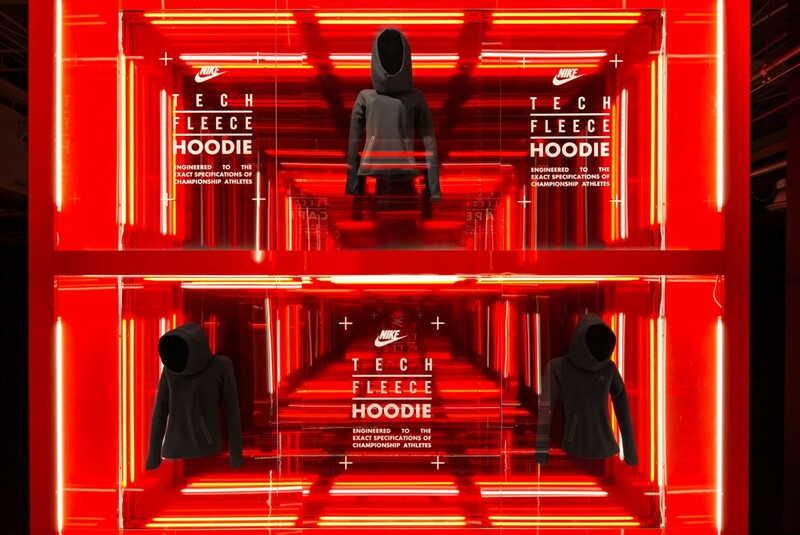 Nike North America Brand Design (NABD) approached WSDIA to complete environmental rollouts for the Tech Pack product series release, at Moynihan Station and NikeLab 21M. Constructed of lightweight 3-ply fabric, six fleece jackets were developed for the Fall/Winter Tech-Pack collection. 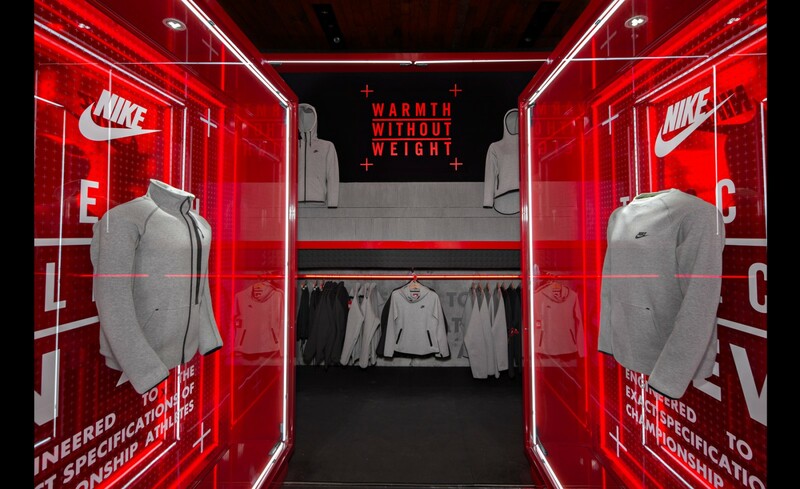 Using Nike’s product position “Warmth Without Weight,” the environments used visual cues to immerse the consumer in a warm, red space. 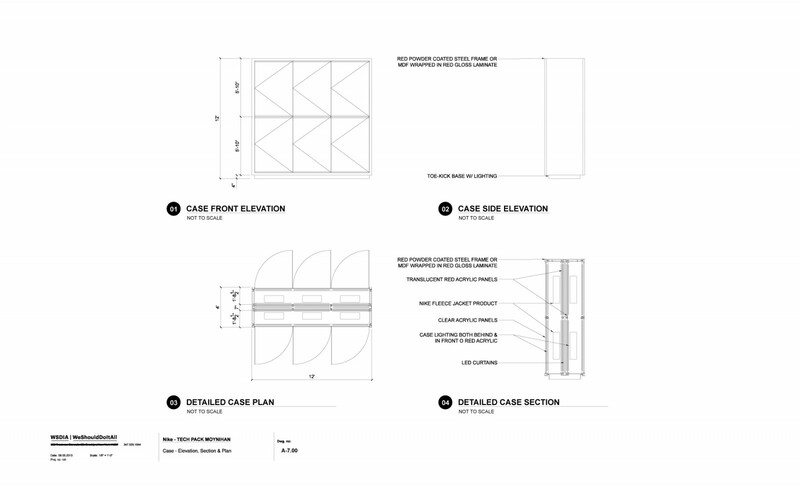 For the main event at Moynihan Station, the design solution was a large block containing all hero product, pulled apart to create a series of cases. 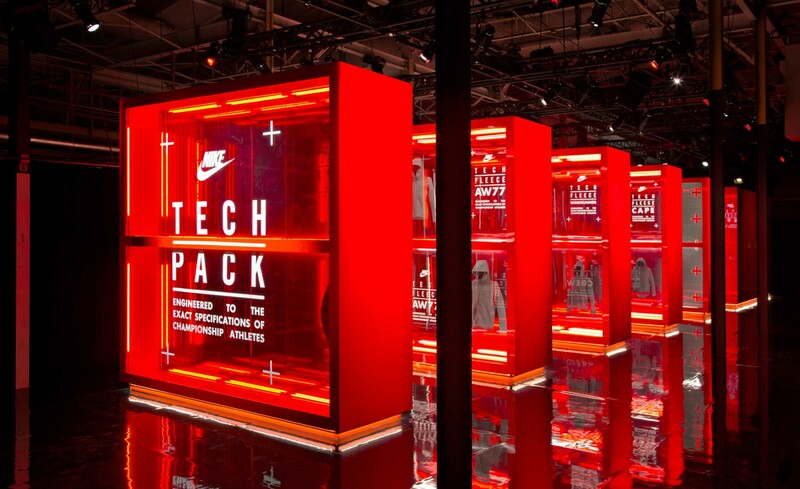 Each double-sided case stood 12 feet tall and wide, and provided displays for each garment type. The cases consisted of a structural perimeter ring with jewel box interior to elevate the product presentation. 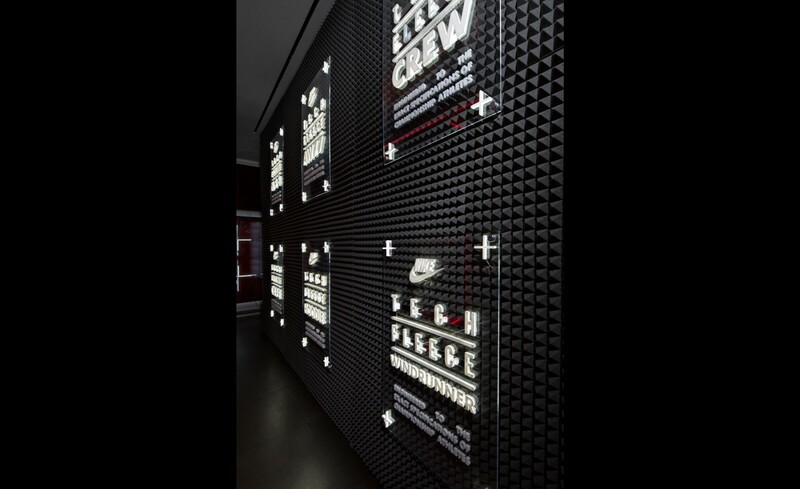 A piece of the larger block housed the VIP zone and was used for lounge and product-seeding space. 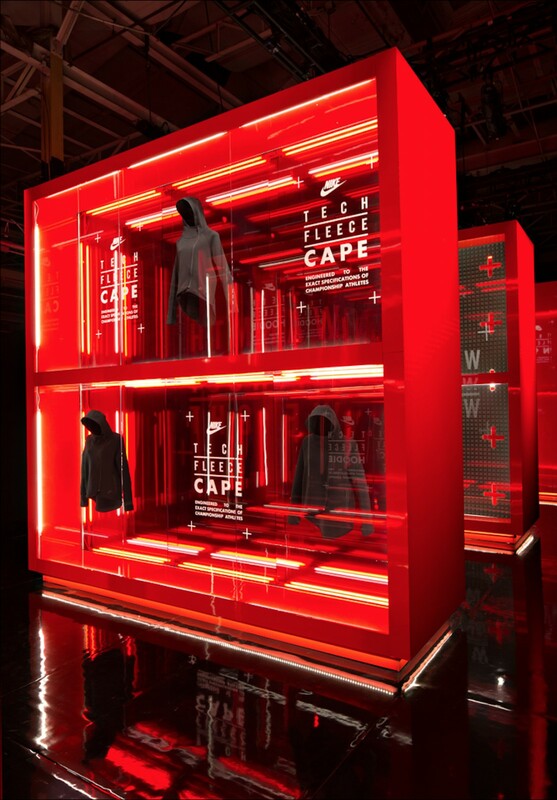 Embracing the concept of multi-layering within the products, and further playing on the jewel box idea, the cases sandwiched garments between a series of clear and red translucent plexiglass. Continuing the theme of weightless fabric, products appeared to float within the cases. WSDIA designed both spaces in a two month timeframe. 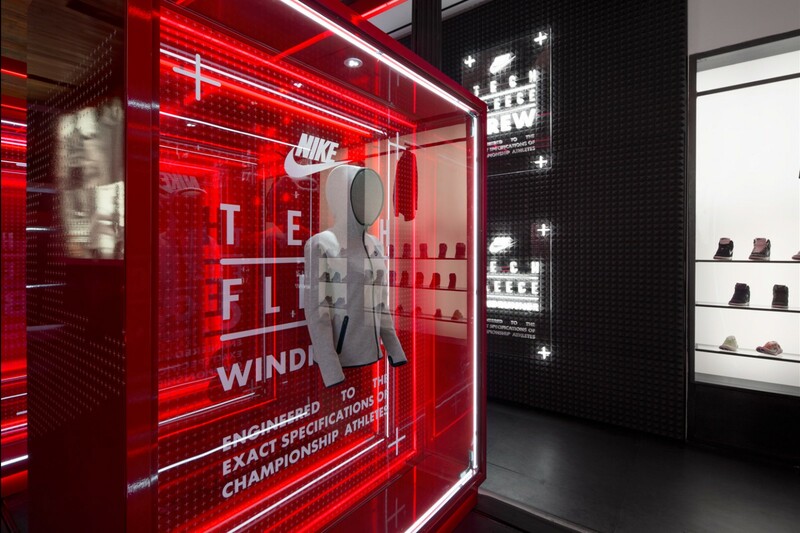 The concept acted as a template that was carried through to other national flagship NikeTowns, and global event activations and retail spaces. 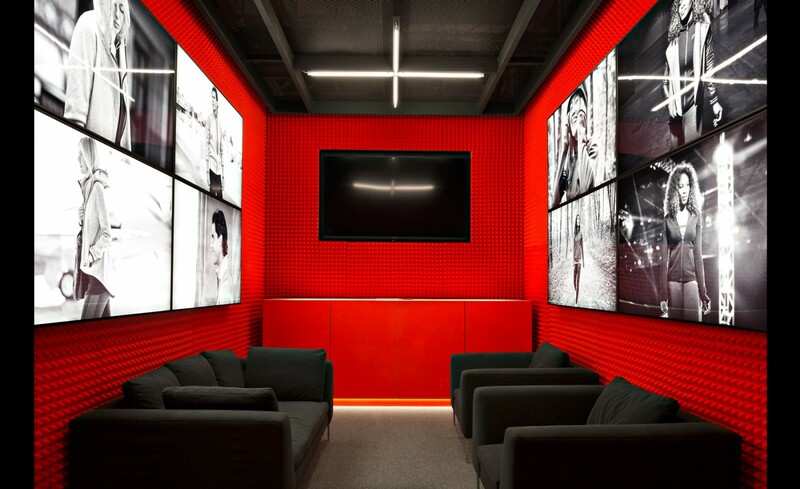 Related projects: Nike World Basketball Festival,	Spotify Musiconomy.